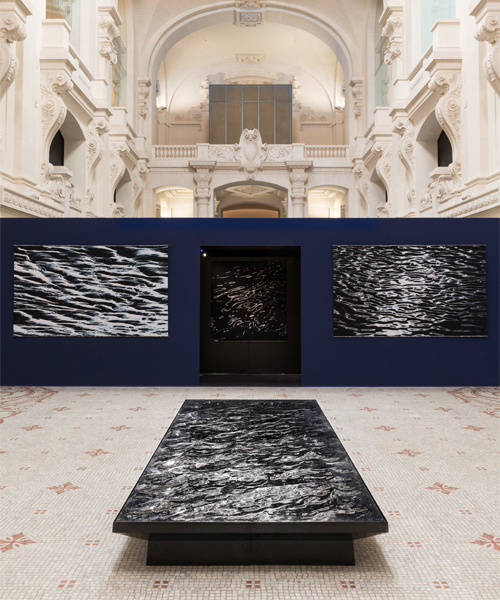 following the exhibitions at petite loire to the V&A at london design festival 2016, french designer mathieu lehanneur’s ‘liquid marble’ series floods the musée des arts décoratifs, paris, for the d’days festival and officine panerai that explores the concept of deep waters. 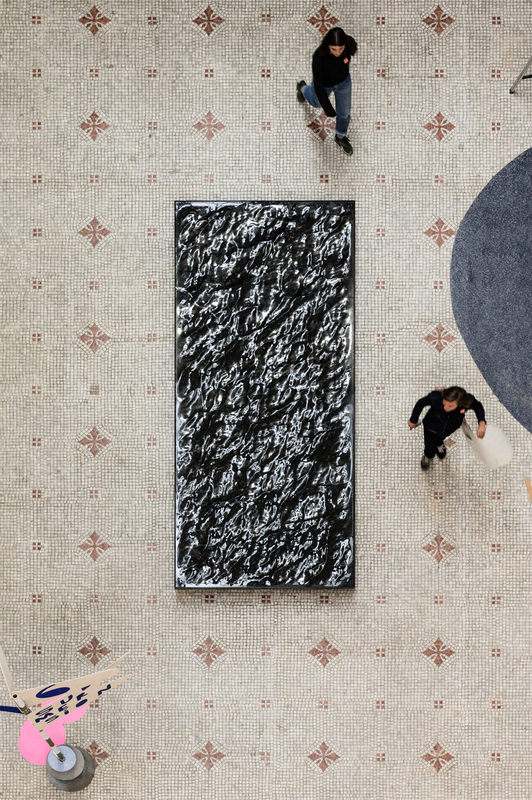 evoking a surreal vision of the sea, the installation mimics the look and feel of rippling water as if gently ruffled by the wind. 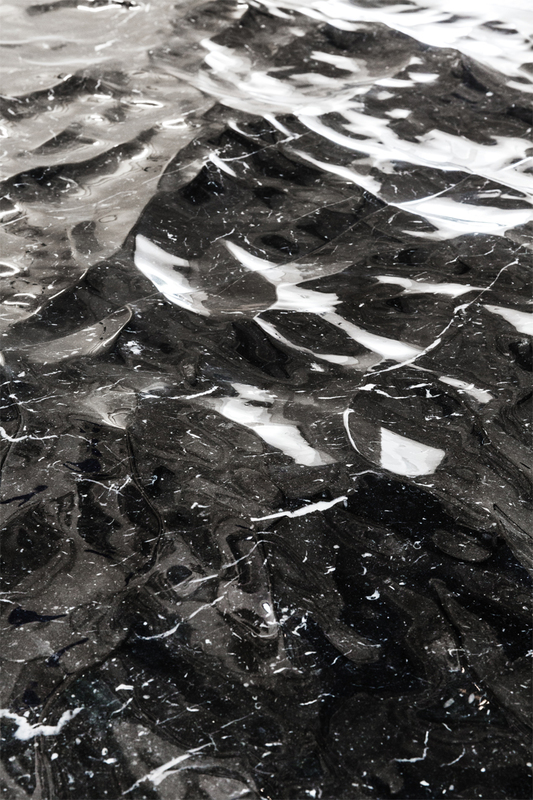 it displays a perfect balance between advanced technology and expert craftsmanship, as it is made from a single piece of hand-polished black marble after being modelled on a 3D movie-making software. 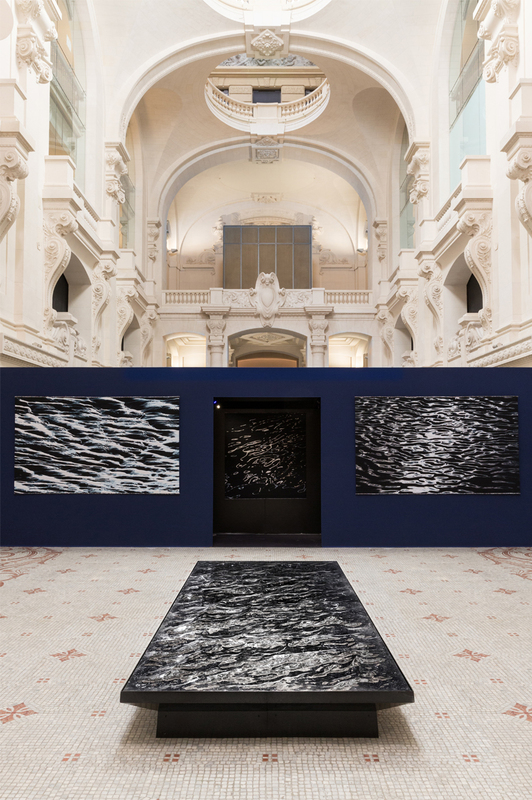 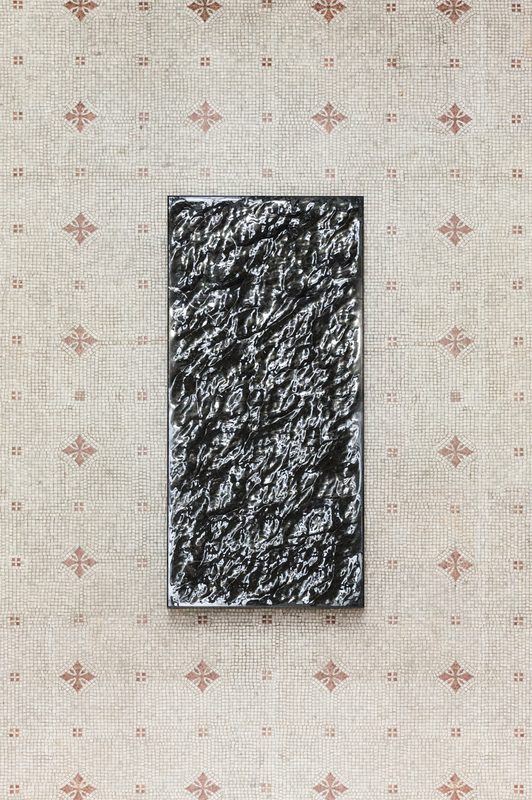 as mersmerizing as watching waves calmly wash ashore, mathieu lehanneur’s ‘liquid marble’ reflects and distorts itself, using the intense dark stone to catch glimpses of light and to further accentuate depth, and a sense of mystery and awe. 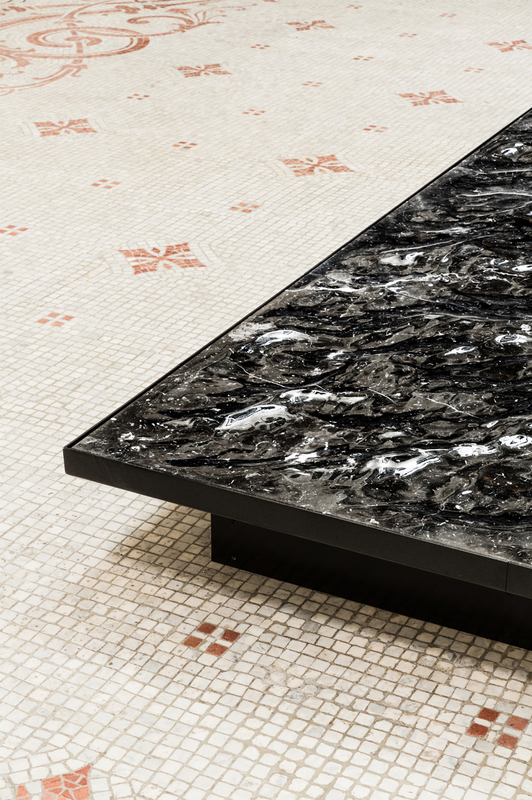 on just a 30cm tall pedestal, the piece encourages viewers to gaze up close, be it peering from high above or contemplating from a low level. 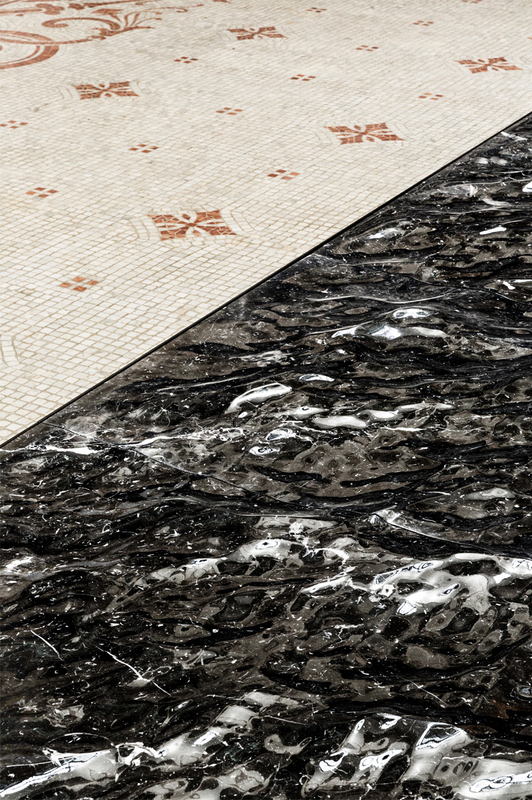 on show from the 3rd to 14th may 2017 at the musée des arts décoratifs, the ‘liquid marble’ measures four by 1.7 meters in size. 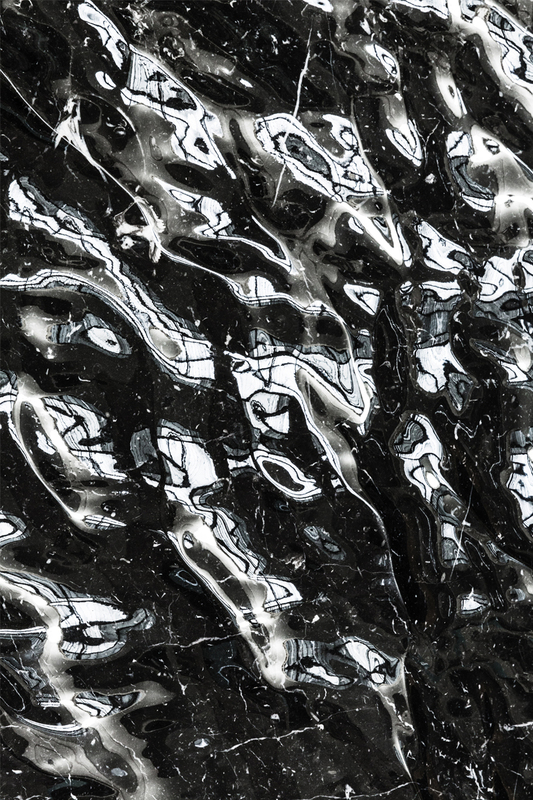 its location, during the d’days festival and officine panerai, places the black, fossil-like piece in the vast gallery with contrasting light walls and flooring.